Maybe it’s because I’m headed back to the 865 (a not very cool reference to Knoxville) on Friday that I’ve been craving Mom’s good cooking a.k.a. comfort food. I’m trying to get my fill before it’s back to canned & frozen food. Although I do think I have a better knack for cooking after this summer. If nothing else, I’ve racked up some good recipes to try out (or completely butcher.) You can’t succeed if you don’t at least try, right? 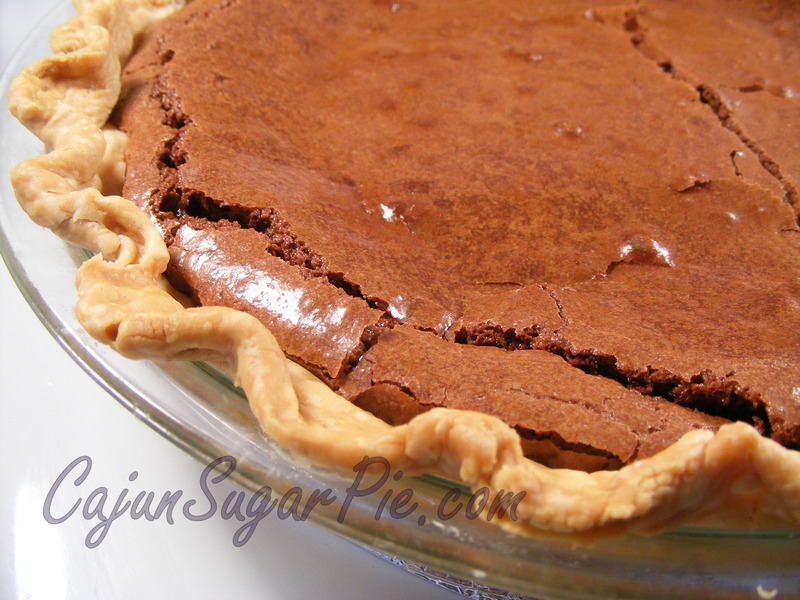 OK now for Monday’s Feast on This recipe: Momma Spining’s fudge pie. She uses Paula Deen, the queen of Southern cooking’s, recipe but what really makes my mom’s pie delish? Trader Joe’s frozen pie crust! No other crust makes the chewy fudgy filling taste just right. This may seem like cheating but once you try it, you’ll understand why my mom chooses Trader Joe’s and nothing else. Melt the chocolate and butter together in a heavy saucepan over low heat. Remove the pan from the heat and add the sugar, then the eggs; beat well. Pour the filling into the pie crust and bake for 25 minutes or until just set. Serve warm or cold, with ice cream or whipped cream. P.S. The pie in the picture looks almost identical to my mom’s. Obviously it isn’t, but you get the idea. This looks awesome. Very decadent and delicious. Thanks for sharing the recipe!